The Evaluation Kit “EASYKIT DCDC” is a DC/DC converter system for the Easy Automotive Power Module F4-50R07W1H3_B11A. 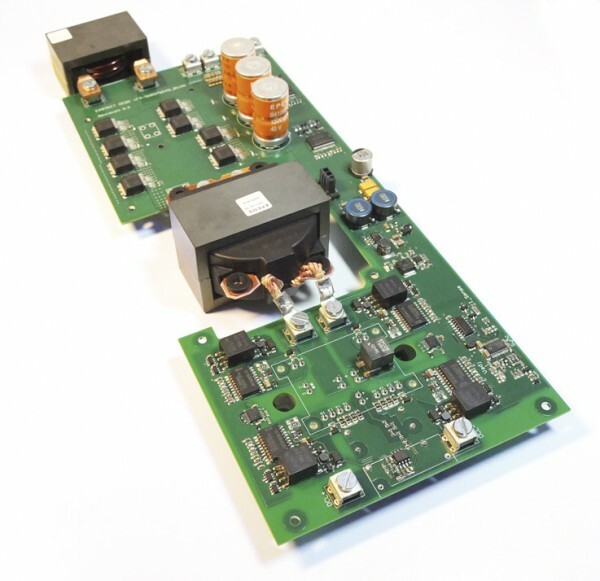 It is designed to power 14V loads up to 170A from a high voltage supply net. The F4-50R07W1H3_B11A is a cost efficient solution for automotive applications based on HighSpeed IGBT3 and Rapid Diode 650V, which is driven in the Full Bridge Phase Shift ZVT converter topology at 100kHz. The required steps and control modes are explained in detail in the documentation. Weiterführende Links zu "Easy Kit DCDC"
Kundenbewertungen für "Easy Kit DCDC"